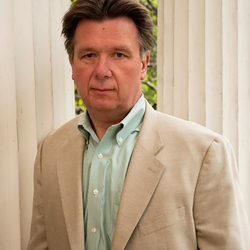 Retired FBI Supervisory Special Agent James “Fitz” Fitzgerald ’75, a former student at Penn State Berks, alumnus of Penn State University, and the agent responsible for bringing the Unabomber to justice, will be portrayed in the scripted Discovery Channel miniseries titled Manhunt: Unabomber, premiering August 1, 2017. In the eight-part miniseries, Fitzgerald will be portrayed by actor Sam Worthington of the movie Avatar fame. The miniseries will explore how the FBI profiler tracked down Theodore “Ted” Kaczynski by deconstructing the Unabomber case, delving into the then-nascent techniques Fitzgerald used including dissecting language quirks in the Unabomber’s notorious Manifesto to unearth him. Fitzgerald served in the FBI for 20 years as both a criminal profiler and forensic linguist before retiring in 2007. During that time, he investigated numerous homicides, sexual assaults, and other violent crimes, as well as matters of international notoriety including the Unabomber, JonBenet Ramsey, and DC Sniper cases. Prior to joining the FBI, he served as a police sergeant on the Bensalem Township, Pennsylvania Police Department. He began his college career at Penn State Berks, then went on to earn a B.S. in Law Enforcement and Corrections from Penn State University Park campus in 1975. He also completed some of his coursework at Penn State Ogontz (now Abington). Currently, Fitzgerald serves as a technical adviser for the CBS television series Criminal Minds. He was also among a panel of experts featured in a documentary series airing in the fall of 2016 on CBS titled, The Case Of: JonBenet Ramsey. The series examined the 1996 homicide and what happened to the six-year-old the evening of her murder. In addition, Fitzgerald works as a part-time consultant and college professor and remains an active criminal profiler and forensic linguist. He has captured his experiences in a series of autobiographies detailing the phases of his journey: A Journey to the Center of the Mind, Book I, The Coming of Age Years; A Journey to the Center of the Mind, Book II, the Police Officer Years; and A Journey to the Center of the Mind, the First Ten FBI Years. Penn State Berks will host two special presentations by Fitzgerald: one on Thursday, September 21, at 7 p.m. and the second on Friday, September 22, at 12:15 p.m. in the Perkins Student Center Auditorium. Both lectures will be ticketed events and first preference will go members of the campus community and alumni. For more information about tickets, please contact the Office of Campus Life at 610-396-6076.